EXPERIENCE ELGIN’S NEW & BETTER ENTERTAINMENT CHOICE! 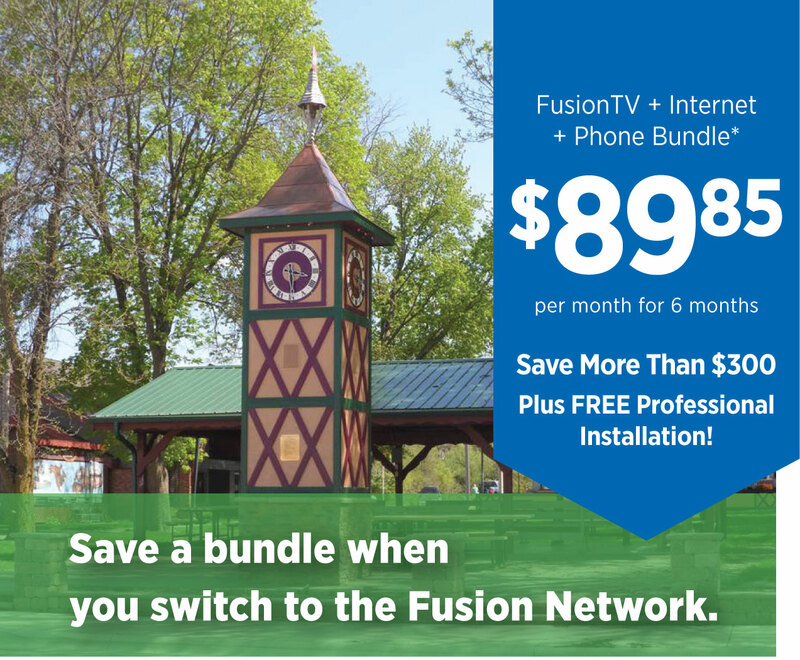 FusionTV provides a new and enhanced television viewing experience that includes all of the channels you have come to expect, plus a whole lot more. Alpine Communications invites the residents of Elgin to join them for a Fusion Network open house. Alpine staff would like to thank the entire community for the tremendous support they have received since they began constructing the fiber-optic Fusion Network. 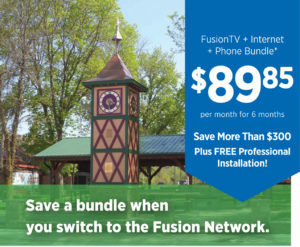 They will also introduce new services available on the Fusion Network including FusionTV digital television service, Internet, phone, security, and surveillance services in Elgin. As a token of appreciation, Alpine Communications invites you to join them for snacks, wonderful door prizes, and service demonstrations. Customers are asked to please call Alpine’s office at 245-4000 as soon as possible to schedule your Fusion Network activation. Your telephone services will be transferred to fiber optics with minimal to no disruption of your existing service. The activation will take approximately one to two hours and there will be no additional charge to customers who keep the same level of service that they currently subscribe to.